Join us for First3Years’ 2018 IMH Advocacy Award Conference taking place in Houston on September 21st. We are honored to have Dr. Joshua Sparrow present this year’s award. Use Coupon Code: HOU18 (case sensitive) when you register. Want to know more about Parent Expertise? Dr. Joshua Sparrow, Director of the Brazelton Touchpoints Center at Medicine at Boston Children’s Hospital, will speak on early childhood development issues within the context of community and culture. When working with parents it is critical that providers understand the value of parent expertise when it comes to child development. Dr. Sparrow, will highlight the many interactions with parents where practitioners can support and acknowledge strengths. Can childhood curiosity close the school readiness gap? Dr. Prachi Shah, Developmental-Behavioral Pediatric Specialist, will discuss her research on the topic of early childhood curiosity and how caregivers can promote school readiness through children’s naturally curious interactions. Dr. Shah’s work shows a potential closing of the school readiness gap by incorporating targeting interactions with young children that revolve around curiosity. She will discuss two simple rules for families, practitioners and young children which foster healthy growth and development, be safe, be kind. Want to find out how you can influence the 2019 Legislative Agenda? Marcellina Melvin, Director of Program Implementation for Child and Family Policy at The Meadows Mental Health Policy Institute, will close the conference with information about transforming behavioral health systems across Texas. Judge Bonnie Hellums’ career has been based on helping people better their lives from the beginning and she started and served the 247th District Family Court for 20 years (1994 – 2014) before retiring. Judge Hellums has been an advocate for infants and toddlers for more than 25 years and continues to do so in her retirement. She is most proud of the work she has done in coordination with the child welfare system and the Infants and Toddlers Court to help young children have a safe environment while experiencing family transitions. She served on the Supreme Court’s Permanent Judicial Commission on Children Youth and Families for 8 years and is designated as one of nine to serve on the Texas Department of Family Protective Services Advisory Board. – Parental expertise on child development and ways to support parents through finding strengths in daily interactions. – How the context of culture and community plays a role in your interactions with parents, and in parents interactions with children. – Information on early childhood curiosity and how it can be a supportive factor in healthy development. – How to build upon and increase curiosity in interactions with young children. – A reminder of two simple rules that foster strong communities as we remember to be safe, and to be kind to one another. Call 1-800-445-8667 and reference “First3Years” room block or visit https://book.passkey.com/e/49738215 to reserve your room by 08/31. 1990 – T. Berry Brazelton, M.D. 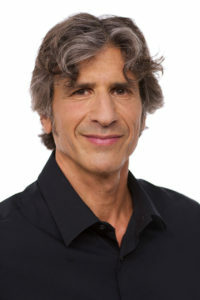 – One of the world’s foremost authorities on pediatrics and child development, a tireless advocate for families with young children, a leading force behind the pediatric healthcare revolution and the driving factor for revolutionizing our understanding of how children develop psychologically. 1994 – Jeanette Watson for her work with the state legislature, governors and other public officials on behalf of infants, children and families. 1996 – Elaine Ellis, a pediatrician whose commitment to excellence helped to develop a neonatal developmental program at Medical Center of Plano’s Neonatal Intensive Care Unit. 1998 – Carol Wheeler-Liston for her efforts toward the adoption of the DC:0-3 for use by the Texas Mental Health Mental Retardation system, and for community efforts raising awareness of and developing services to meet infant mental health needs in Denton. 2000 – Bruce Perry, a psychiatrist and researcher whose ground-breaking work in bio-behavioral outcomes for children who have experience abuse and neglect and innovative treatment options for these children. In addition, for his public education efforts and consultations to minimize the impact of neglect and abuse of infants and children. 2000 – Sonya Lopez received a “Special Recognition Award” for her work with families and professionals in the field of Infant Mental Health. 2002 – Elizabeth Heyne for her work in establishing a non-profit intervention and support program for families with low birth weight infants in a underserved population of Dallas. 2008 – David M. Munson for his work improving the training of childcare workers that serve underprivileged babies and young children. He founded Educational First Steps to support these childcare centers. 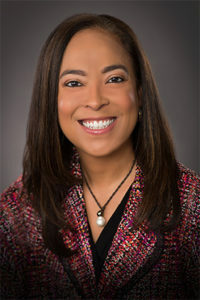 2008 – Karyn Purvis for her impact on adoption, child welfare and family court systems through her work as the Director of the Texas Christian University Institute of Development as well as with TexConnects. 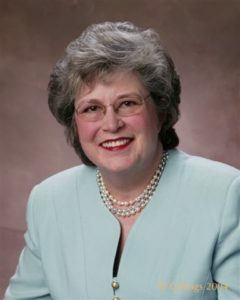 2010 – Justice Harriett O’Neill for her actions to improve outcomes for families involved in the child protective service system through judicial leadership. Through her leadership the Supreme Court established the Permanent Judicial Commission for Children, Youth and Families. 2012 – Judge John Specia for being a driving force behind successful projects which focus on assisting courts and identifying best practices to improve outcomes of safety, permanency and well-being of Texas’ most vulnerable children and families. 2014 – Elaine Shiver for her work as State Leader for Texas Parents as Teachers and for over four decades advocating for children’s service as staff member and volunteer. 2016 – Pauline Filipek for advancing the body of research and new practices of early screening and intervention solutions. Please Note: In 2006, an IMH Advocacy Conference was not held, thus, an award was not given.